Thank you for your interest in joining our team at UIC! 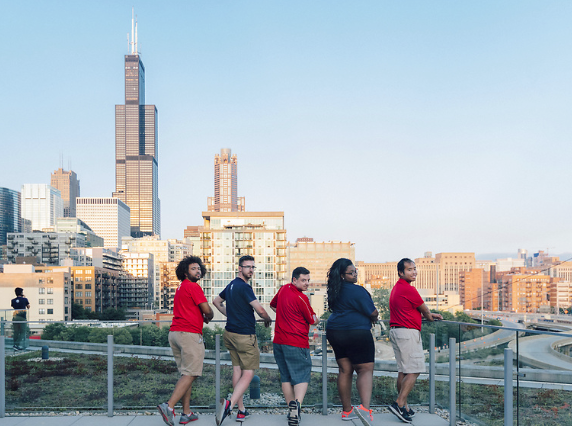 We encourage you to learn more about our position(s), department, and campus community to discover if UIC is the best fit for you to call home! Go Flames! As the largest institution of higher learning in the Chicago area, UIC is the hub for more than 31,000 students, with 3,800 living on-campus. UIC embodies the qualities of a large, diverse, urban institution, located just west of Chicago's loop, nestled in historic residential neighborhoods and the urban environment. Having nearly doubled in size in the past ten years Campus Housing seeks to develop students both in and out of the classroom through active student involvement in the university's mission. 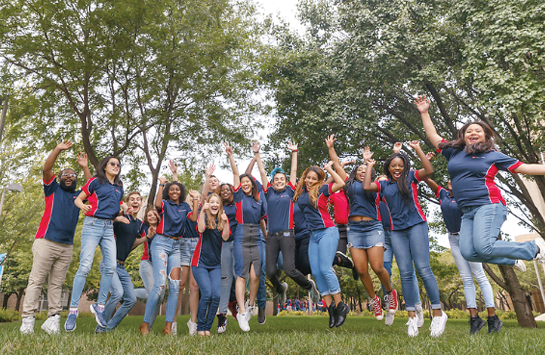 We strive to ensure that living on-campus provides students an educational advantage, which engages students in their own learning and contributes to their overall success at UIC. 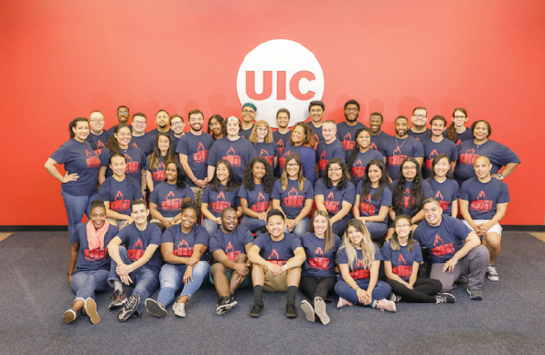 UIC is currently seeing record enrollment growth and is serving an increasingly diverse student population, placing among the top 15 ethnically diverse national universities. UIC moved up in the annual “Best Colleges” rankings published by U.S. News & World Report — climbing to 61 from 73 among top public schools in the nation, and rising to 129 from 145 among all national universities. Our students have the opportunity to engage with incredibly talented faculty, staff, and peers over their time at UIC. A campus initially designed to serve a large commuter population is quickly becoming one where residence life plays a vital role in defining campus culture. In fall 2019, we are proud to be opening a new student housing community slated to be one of the leading mixed-use, living-learning communities in the country. Housing over 530 students, this project reinforces our commitment to supporting the growth, recruitment, retention, and graduation of our students. Learn more about the ARC here. At this time, the Assistant Resident Director (ARD) position is not available for new applicants. Please continue to check back for the academic year 2019-2020 ARD position. At this time, the Resident Director application period is closed. We will be conducting interviews at The Oshkosh Placement Exchange, and will post the Resident Director position at The Placement Exchange. Our department’s organizational chart is available for your review. If you have any additional questions about the position, our department, UIC, or the Chicago Area, please email recruitment@uic.edu. For those employees who live on campus, accommodations will be made for partners in the same manner currently afforded a spouse. Any dependents of either partner will be recognized by Campus Housing in the same manner as the current practice for married couples. The University offers a Domestic Partners benefit program as well, including health insurance. Must weigh less than 45 lbs. Must live in a cage, aquarium, or be litter trained or housebroken if it is a pet which roams the apartment. Must be determined as safe for a community environment (animals which have attacked humans and those normally considered wild, like monkeys or snakes, will not be permitted). Must have approval from Campus Housing prior to bringing the pet to campus. No more than two pets are permitted in any household. Cleaning fee of $200 per pet is required. Professional development is offered through a variety of on-and off-campus opportunities. Examples include UIC Division of Student Affairs Professional Development Series, Campus Housing Professional Development Series, CASCHA, GLACUHO, ACPA, NASPA, ACUHO-I and many more! 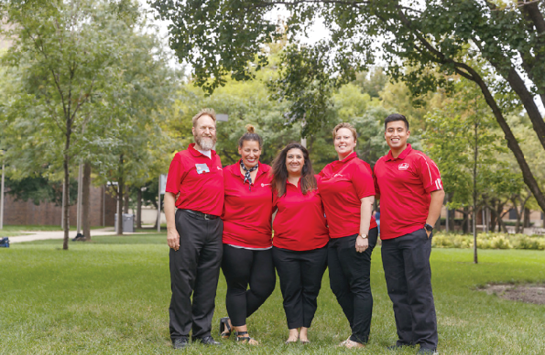 Learn more about UIC Student Affairs! Resident Directors receive a meal plan during the academic year added to the account on their university ID. The meal plan is intended to allow opportunities for the staff member to interact with students, faculty, and university guests when the cafeteria is open. By state law, the State of Illinois provides group life insurance (equal to the employee’s annual salary), as well as health, vision, liability, and dental insurance to all academic staff members who have an appointment of 100% time for a period expected to be at least nine consecutive months. Employees also have the option of contributing to a pre-tax health flexible spending account for themselves or their dependents. Campus Housing staff receive 7 University holidays, plus an additional 4 floating holidays. Full-time staff members appointed on a 12-month basis also receive 24 work days of paid vacation per appointment year. Vacation may be accumulated to a maximum of 48 work days. Twelve workdays of sick leave are available each appointed year. If 12 sick days are used, as many as 13 additional sick days are available in that appointment year. These 13 days are not cumulative. Contributions of 8% are deducted from the employee’s earnings and placed in the State Universities Retirement System (SURS) in lieu of Social Security contributions. An employee who terminates employment may elect to receive a refund of the employee’s total contribution of 8% of earnings, plus interest at a rate not to exceed 4.5% compounded annually. The employee contributions are picked up by the employer and treated as employer contributions for income-tax withholding purposes. Retirement contributions are based on the gross earnings before the employer contributions are included in earnings. Our Living and Learning Communities (LLC) attract high-achieving students and provide specialized attention for an enriched educational experience. They offer a sense of community through programs, conversations, and faculty interaction centered on members’ interests. Learn more about our Faculty in Residence Program and other academic support initiatives!